Every company needs an auto-responder to be the first point of contact to potential clients who are reaching out to you in hopes of forming a business relationship. 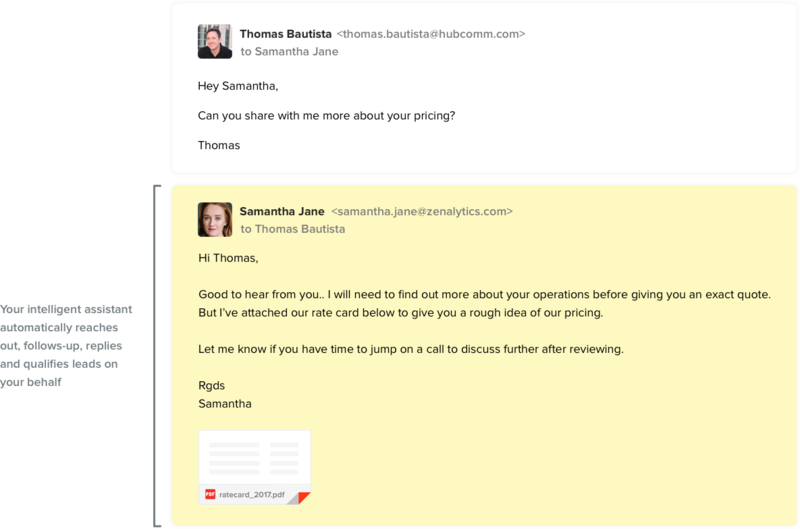 But the problem with marketing automation software that’s out today is that it’s far too obvious that they’re using a bot to respond to your queries with cookie-cutter replies. Standard template answers are fine, but when you are well-aware that the one on the other end replying is just some software, that lack of a human touch can sometimes become a major turnoff. Singapore startup Saleswhale wants to make auto-responding bots a little more human. But first, who are they? A little over a year old, Saleswhale is Singapore-based startup that is the product of a trio of software engineers – Gabriel Lim, Venus Wong, and Ethan Le. For Gabriel and Venus, this won’t be the first time they started a business together after once running a mobile and data analytics consulting company alongside one another. Ethan was one of the early engineers of Korean video streaming site Viki, the site which was later acquired by Rakuten for US$200 million. 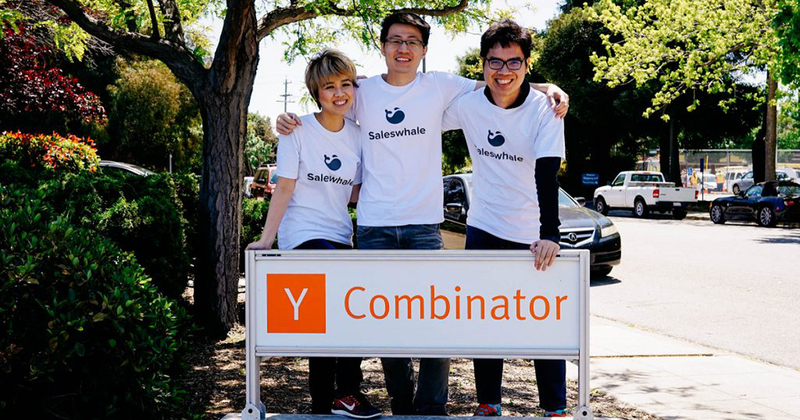 And the three of them make up the founding team at Saleswhale, a Y Combinator (S16) backed startup. 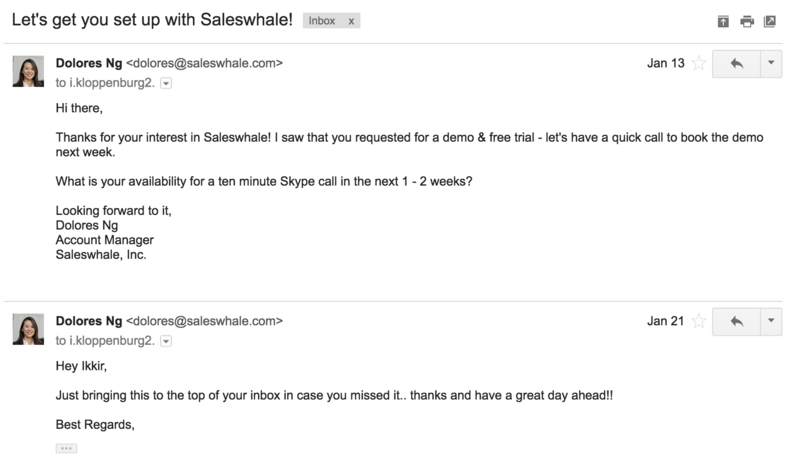 Saleswhale in itself is basically an automated sales assistant that helps companies follow up with inbound and stale leads, engage them in two-way conversations, and qualify them before routing them to human sales representatives. High sales employee attrition and streamlining the sales process of a company is something that Gabriel and Venus are well-aware of from running their previous company, and that’s where Saleswhale can come in. 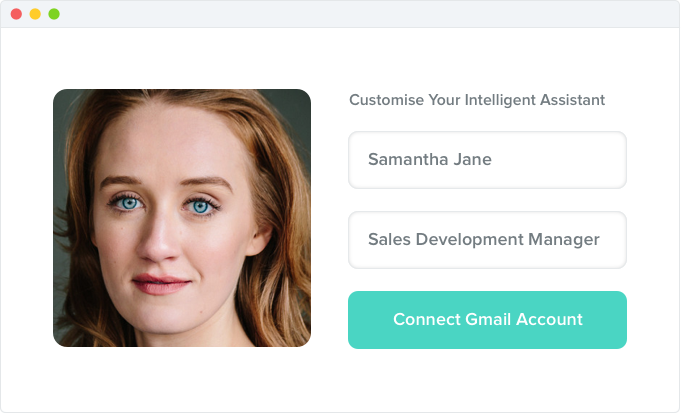 The key feature for the Saleswhale sales assistant is that it can have its own email address, and is able to communicate like how a human being would. The software will by itself qualify a potential prospect by asking questions of its own, and when that prospect is qualified, it is only then when they will be connected to a human sales rep through a calendar invite that both sides will receive. And that is precisely Saleswhale’s main selling point that has helped them secure a US$1.2 million in seed funding recently. This new round of funding is led by Gree Ventures, with support from Monk’s Hill Ventures, Wavemaker Partners, and angel investors including early Dropbox employee Albert Ni, Pieter Wallraven co-founder of Pie (acquired by Google), founder of Nonstop Games (acquired by King) Juuha Paananen, Royston Tay, co-founder of Zopim (acquired by Zendesk) and Bowei Lee, CEO and Chairman of LCY Chemical Corp.
With this new injection of funds, Saleswhale will be hoping to double down on product and engineering. The first step that they will take is to grow their team of five engineers by hiring more backend, data, machine-learning and natural language processing engineers. This is definitely one startup to lookout for in 2017.